The SITE Intelligence Group said Al-Qaida's branch in Somalia posted a video clip of Donald Trump in a recruitment video aimed at African-American youth. MOGADISHU, Somalia -- Al-Qaida's East African affiliate has released a recruitment video targeting American blacks and Muslims that includes a clip of presidential candidate Donald Trump calling for Muslims to be banned from entering the United States. The 51-minute video by the Somalia based al-Shabab militant group presents the U.S. as a country of institutionalized racism against blacks that also persecutes Muslims. The video presents radical Islam as the solution. The clip of Trump on the campaign trail consists of his infamous proposal for the "total and complete shutdown of Muslims entering the United States" to protect the country. Presidential candidate Hillary Clinton had earlier claimed that the Islamic State group, another extremist organization, was using such quotes to recruit followers, prompting Trump to call her a "liar." The quotes from Trump are bracketed by a recorded speech from Yemeni-American cleric Anwar al-Awlaki, one of the most prominent English-language recruiters for al-Qaida who was killed by a U.S. drone strike in Yemen in 2011, warning that the U.S. would turn against its Muslims. The video was released on Twitter Friday, according to the SITE Intel monitoring group and tells the story of several Americans from Minnesota that joined al-Shabab and were killed in the fighting in Somalia, holding them up as examples to be followed. Using footage from recent racial conflicts in the U.S. as well as historic quotes from Malcolm X, the video lays out the argument that blacks and Muslims will always face discrimination in the U.S. and should join jihadi movements to fight back. Al-Shabab is fighting the internationally-backed Somali government. It was pushed out of Mogadishu in 2011 with the help of African Union troops. The militants have still carried out numerous guerrilla attacks in Somalia and the countries contributing troops, including Kenya, Djibouti and Uganda. 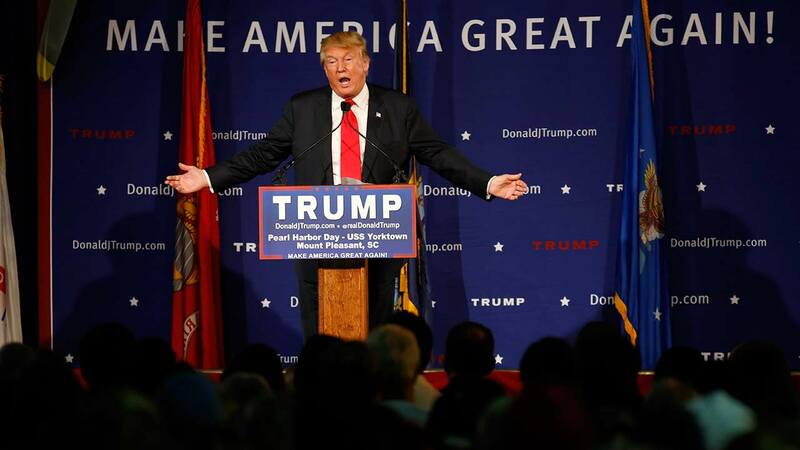 Trump, who is leading in polls in the race to be the Republican candidate in next year's presidential election, has been rebuked by both Democratic and Republican candidates for their parties' nomination, for his proposed ban on Muslims in early December. Clinton's campaign declined to comment on the video.